The Artist magazine is the UK's leading practical art magazine and the essential source of inspiration, advice and information for all artists, since its launch in 1931.With the demise of the teaching of traditional drawing and painting skills in our art schools, The Artist stands out for its commitment to teach traditional artistic skills and techniques in all media, covering all traditional subject matter. Written by artists, for artists, every issue is packed with practical articles to inspire artists of all levels, and includes interviews with top professional artists who provide insights into their approach and working methods.With regular up-to-date information on the latest art materials available, exhibitions to see and enter, events, opportunities, books, courses, and the business side of being a full-time artist, The Artist is an essential and inspirational resource for all artists, whether a passionate amateur or hard-working professional. 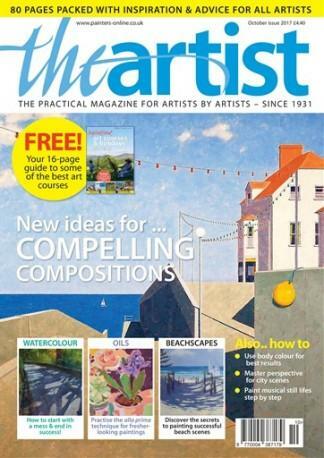 The Artist Magazine is an incredible magazine for all around learning.It covers many different mediums,and has lessons with step by step tips and tricks from each artist to get your artwork looking better and better as you follow the lessons in each magazine.